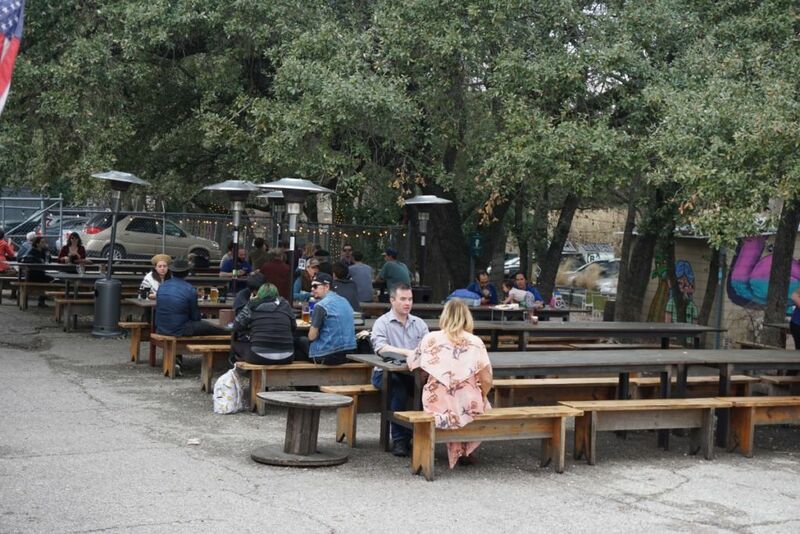 Lazarus is a block away from Zilker, in an area of Austin that is up-and-coming. 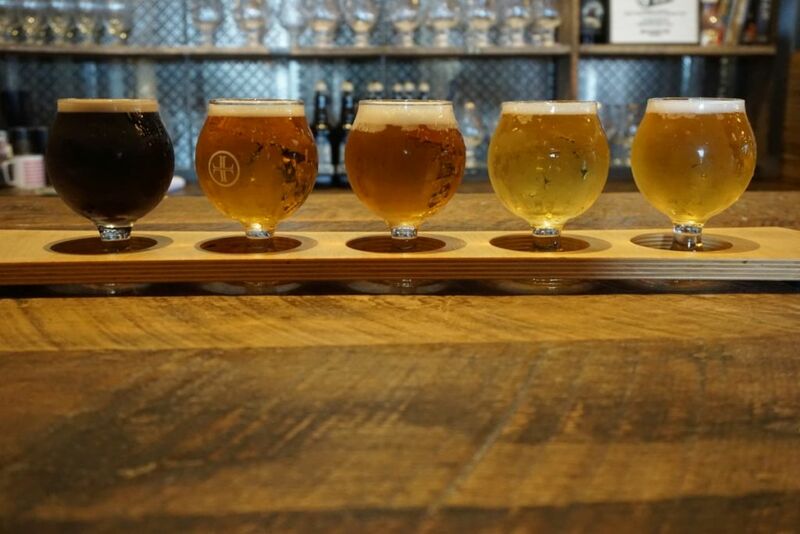 They are known mostly for their Belgian styles and traditional beers to style. I started with the English Mild on Nitro. It was creamy with tons of dark fruit and a nice dry finish. The beer had some light smoke and notes of floral hops on the finish. 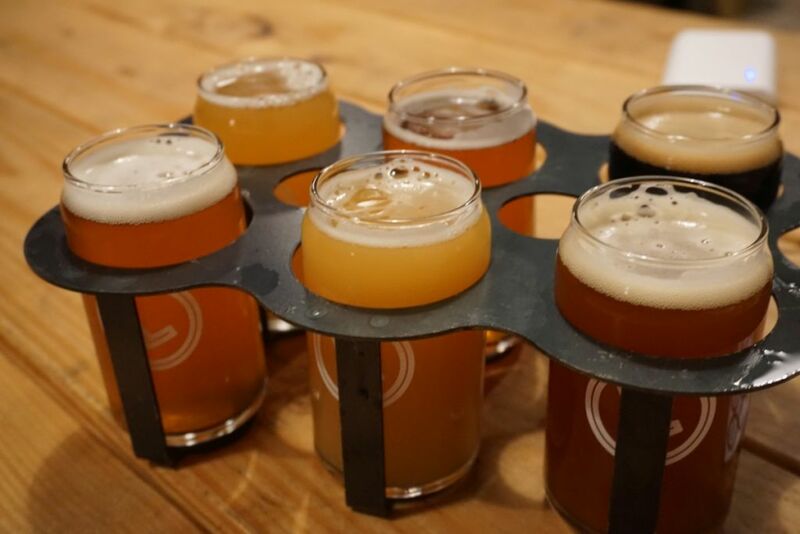 This is a beer to order pints of rather than drink in tasters. The German style smoked beer was too overpowering in the smoke category for me, though it had a light sweet finish. The English Bitter was overly sweet with a bitter finish. It seemed to be lacking the malt backbone characteristic with the style and I didn’t much care for it. The pilsner was crisp and bready with a light sweetness and mild floral hops. The saison was earthy with notes of bitter gourd and light funk on the finish. The scotch ale had a nice mix of smoke and roast at the front and tons of dark fruit on the finish, without being overly sweet. The porter was dry and lightly smoky with notes of dark cherry. I quite enjoyed the dark beers. 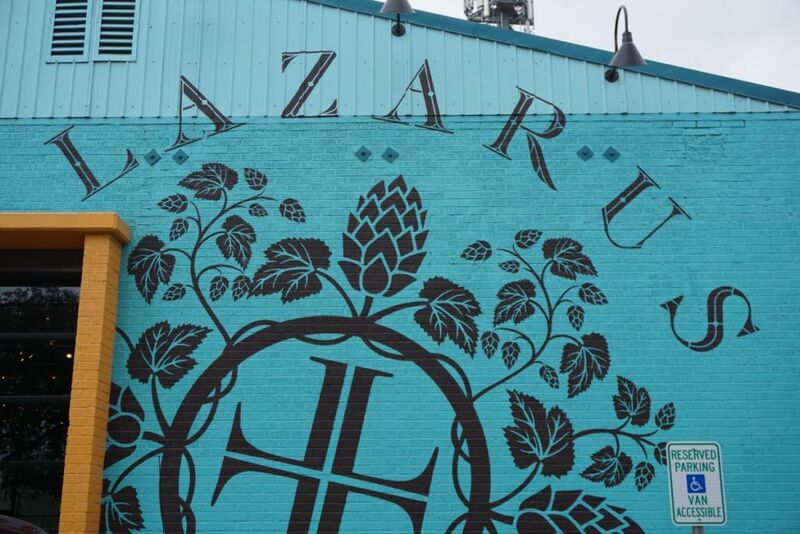 Lazarus was a solid brewery though I didn’t taste much that would put it above some of the other standard local breweries. I quite enjoyed the darker beers. Parking can be an issue so if you are close by I suggest you get a ride or take an Uber. 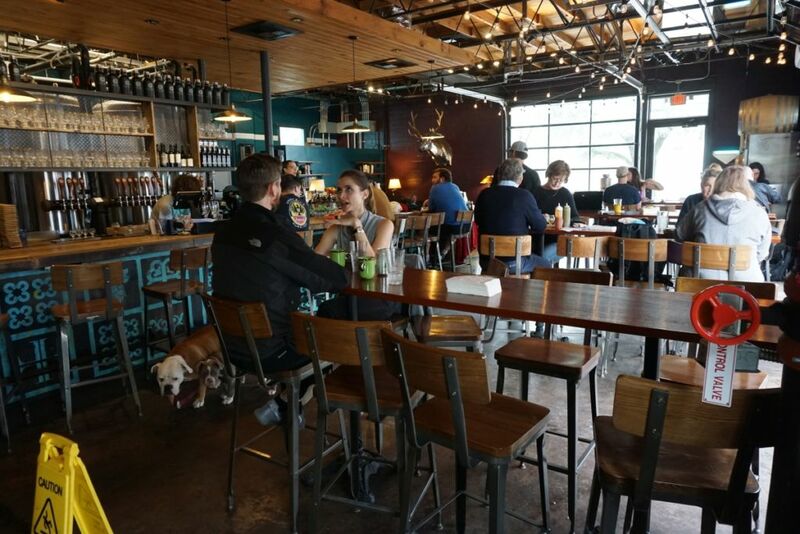 ABGB has a massive indoor space plus a large outdoor seating area. 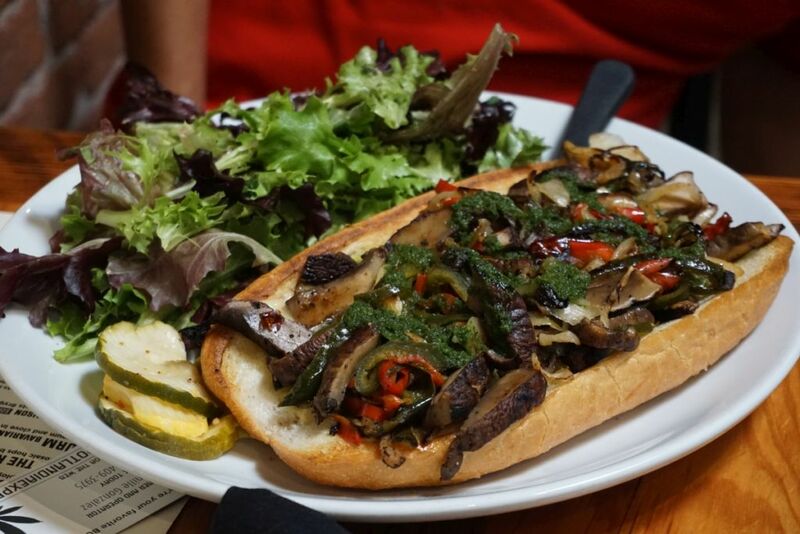 They have a wide array of food plus a good variety of beers. 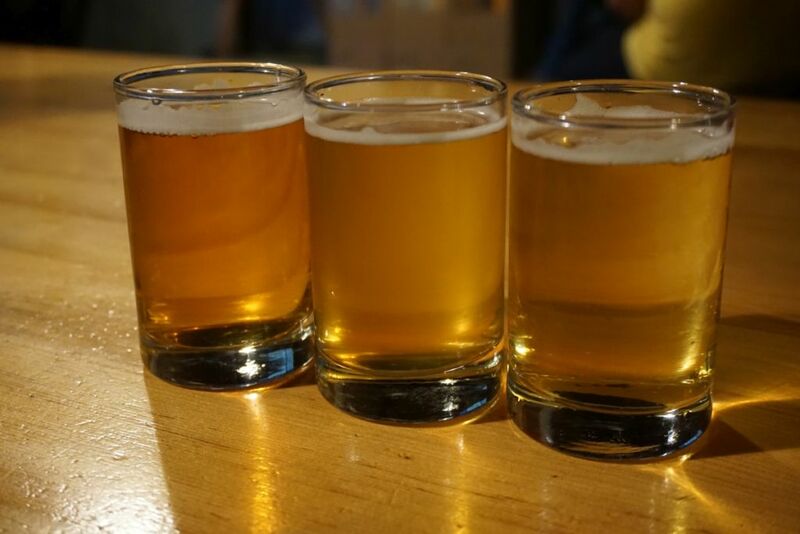 I started with a flight and got a full pour of the Helles before leaving. The Rocket 100 Pilsner was dry and bready with an assertive bitterness on the finish that lingered. I thought the bitterness was a bit much for the style. The Industry Pils was a bit milder with light fruity hops and a clean finish. The Pale Ale was a good mix of citrus and melon hop flavor with a light bitterness. It had a mild herbal bite on the finish and overall was a nice clean pale. The dunkel had a light amber brown color with notes of caramel and toast and a dry finish. I quite enjoyed this one. 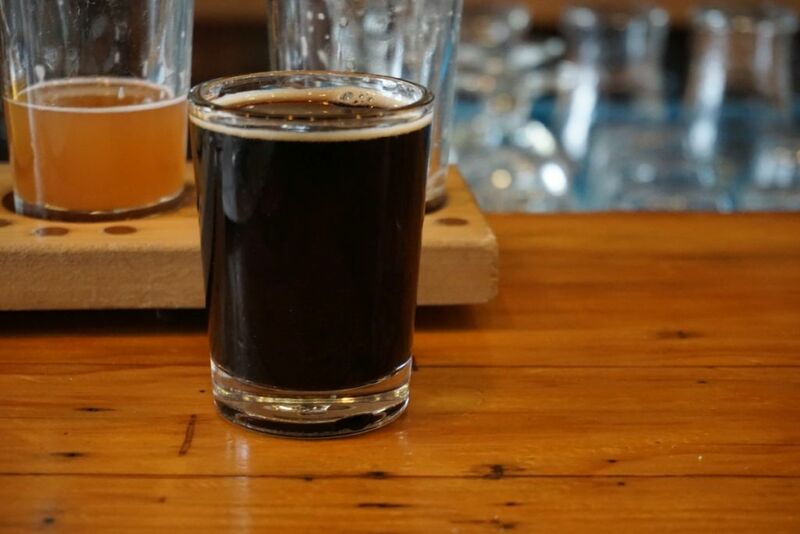 The Imperial Stout had notes of caramel, molasses, and roast without being overly sweet or thick. This was quite impressive. The helles was my favorite of the bunch with a light bitterness and bread and biscuit malt base with a light floral hop character. The beer was super drinkable. The Grodziskie, a smoked wheat style beer, had a mild smoked malt flavor with light wheat base and a clean dry finish, quite easy drinking. 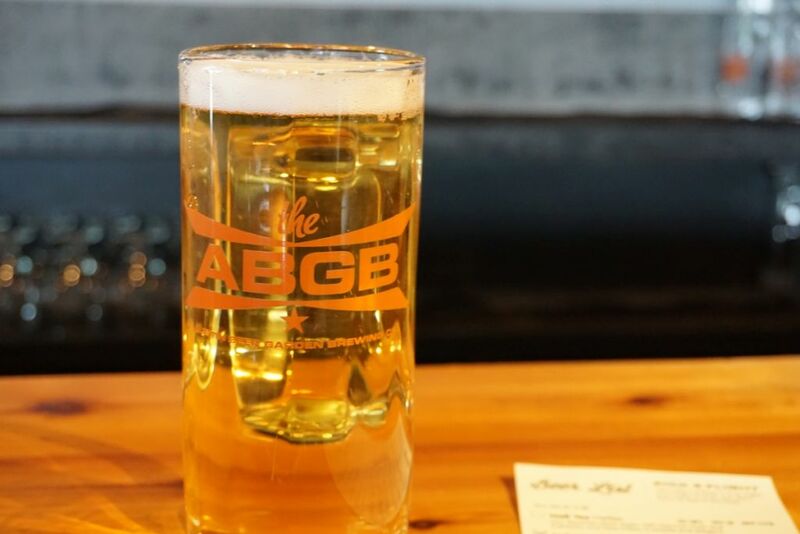 The helles was quite impressive at ABGB and the special pizza options when I visited were quite good as well. 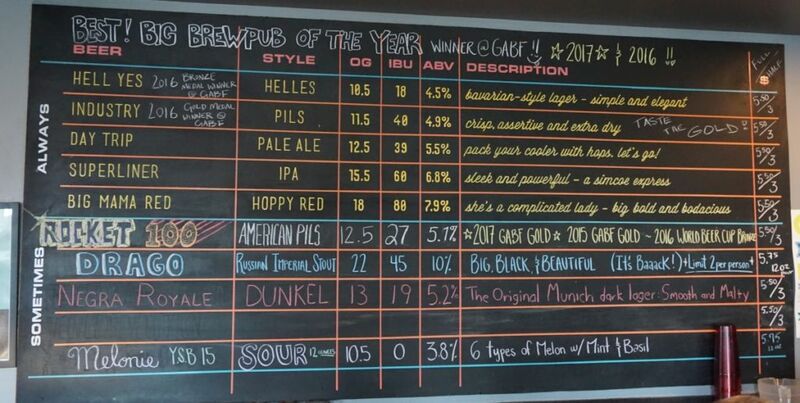 This is a great spot to visit if you like traditional German style beers. 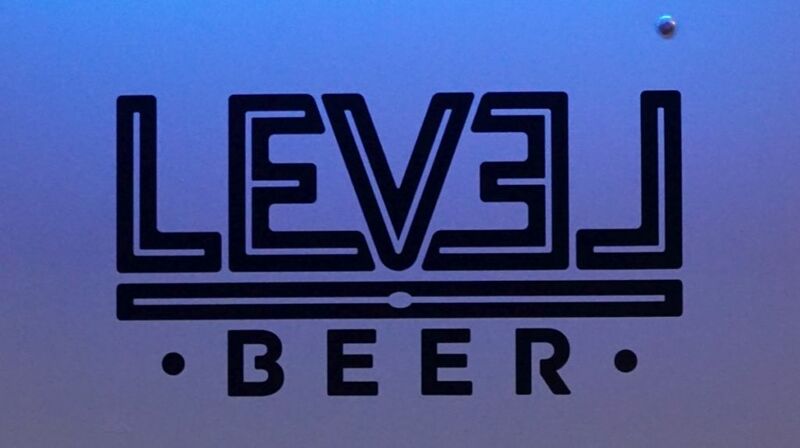 Level Beer opened closer to the airport, which is great for people who get stuck at airport hotels and want to visit breweries, but also not so good for people who are trying to do a beer crawl around the city. 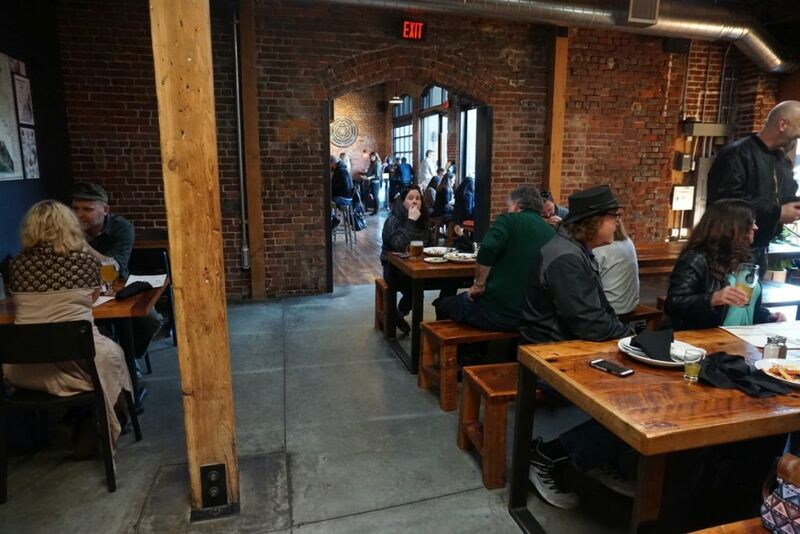 The location gives them a large amount of space for a tasting room and there was plenty of seating in the brewery. The Press Pause NW pale was a good classic pale. 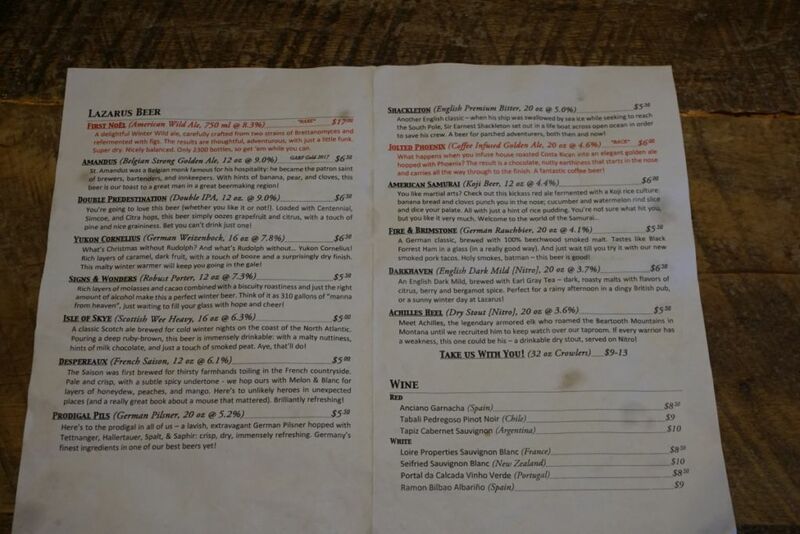 I had mis-read NW for NE or I might have ordered something else, like the standard IPA or saison. Nothing wrong with the beer but it isn’t my style. The best bitter was decent with notes of apricot but tasted more like an English pale than a best bitter. The beer lacked the malt base that makes the style enjoyable. The Hazy IPA titled Hazing is Socially Unacceptable was quite nice with a creamy body and tons of tropical fruit with notes of tangerine and passion fruit. This was the best beer of the bunch by a large margin. Comparatively, the passion fruit hazy DIPA was completely unbalanced with passion fruit dominating the base beer completely with flavors so strong it was off-putting. The chocolate stout was a clean stout but not particularly chocolate forward. The barleywine was incredibly medicinal with overpowering dark fruit character and a strong bitterness. 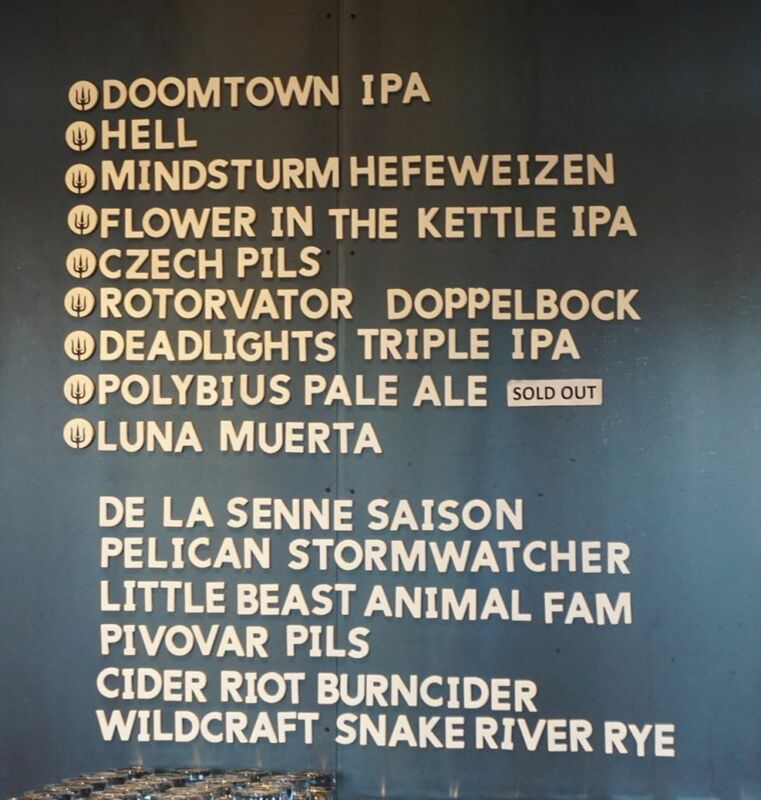 Level Beer was quite the mixed bag of beers though their hazy IPA was done well. With some tweaking on the amount of passion fruit in the hazy double IPA I think they could end up with a solid beer there as well. I wasn’t able to taste the flavors of the base beer under all the passion fruit. Hazing is Socially Unacceptable Hazy IPA. 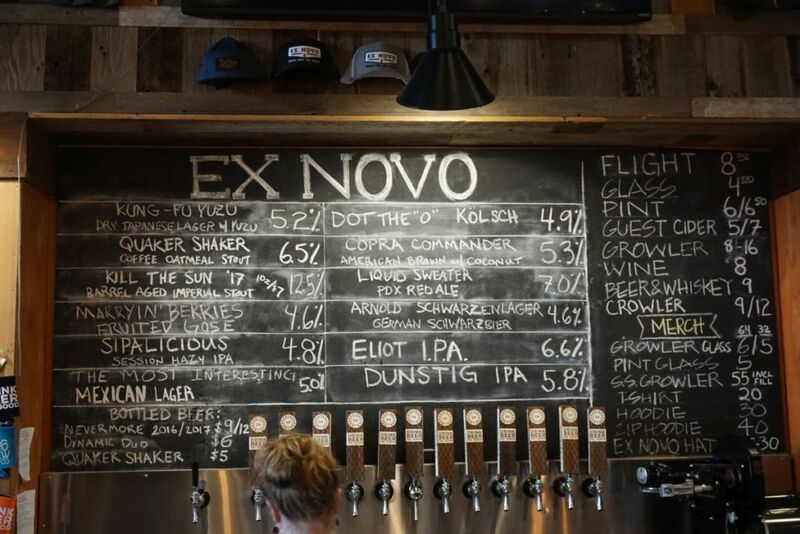 Ex Novo also came highly recommended as far as new breweries in Portland. They were so crowded on Saturday when I stopped by that I had to go back the following day to actually get a seat. Thankfully Sunday was more chill. They had a solid lineup of beers but their hazy IPA really missed the mark. I started with the session hazy, which had a light yellow haze and citrus and grapefruit hop notes. While it was the better of the two hazy beers, it was very subtle with hop aroma. It drinks easy though and is as flavorful as I have had for the style at the low alcohol percentage. After that, the NEIPA was barely hazy and lacked soft and creamy mouthfeel. It had some decent flavors of orange marmalade and some sticky dank finish more akin to a NW IPA. The pomegranate grapefruit sour was well made with tons of grapefruit that comes on with a strong bitterness like biting into a fruit. I would have liked more pomegranate flavor but overall I found it a little too much grapefruit. The schwartz beer was great with roast and light smoke, a medium body, and light toasted marshmallow character. The barrel aged imperial stout was thick and fudgy with light salt on the finish. While Ex Novo missed on the haze, the people near me seemed to enjoy their kolsch and other lighter lagers. 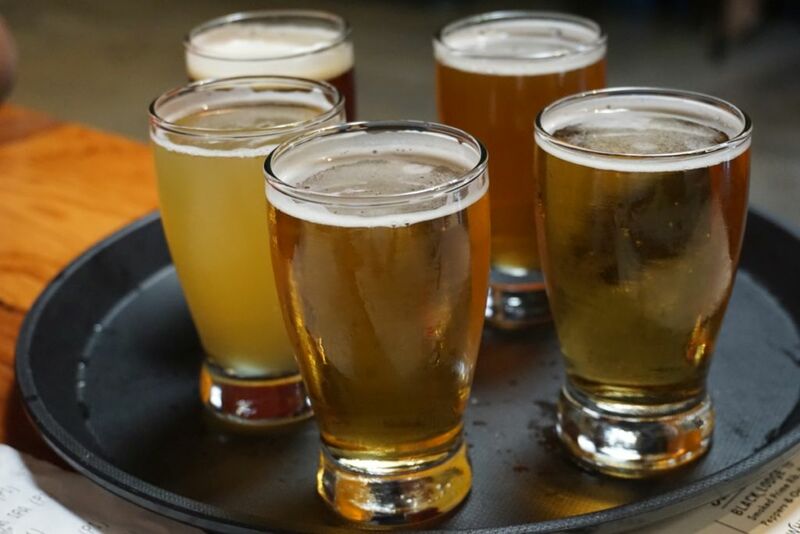 The flavors of the schwartz suggest that they know how to brew a lager. 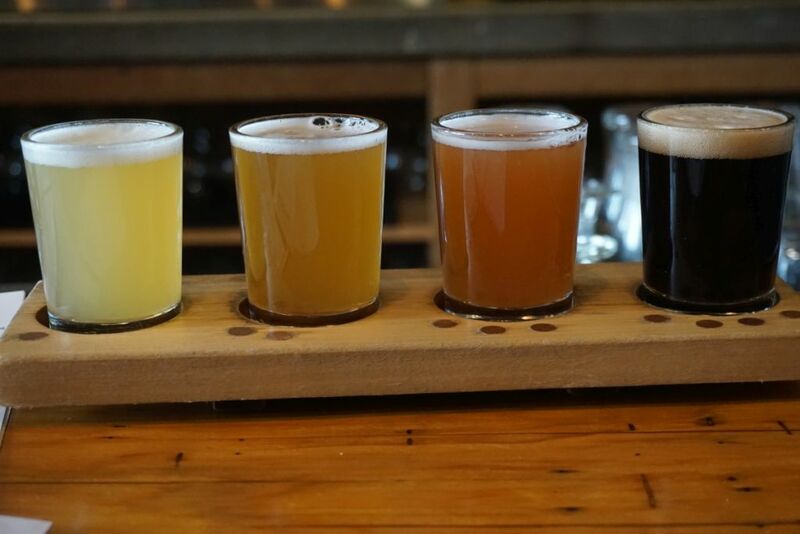 One of the newest breweries I visited on my recent visit to Portland was Wayfinder. 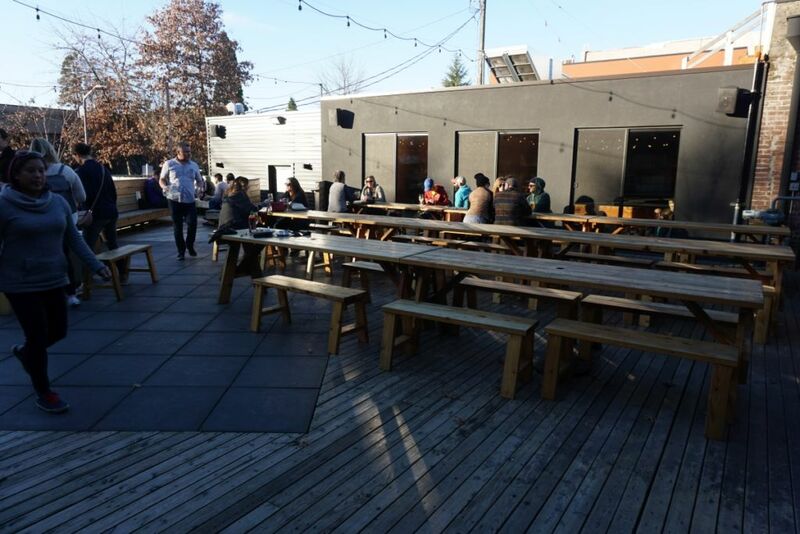 They opened close to most of the new school breweries in Portland with a full restaurant and expansive seating both outdoor and indoor. This was our first stop of the day and we had lunch along with our beers. 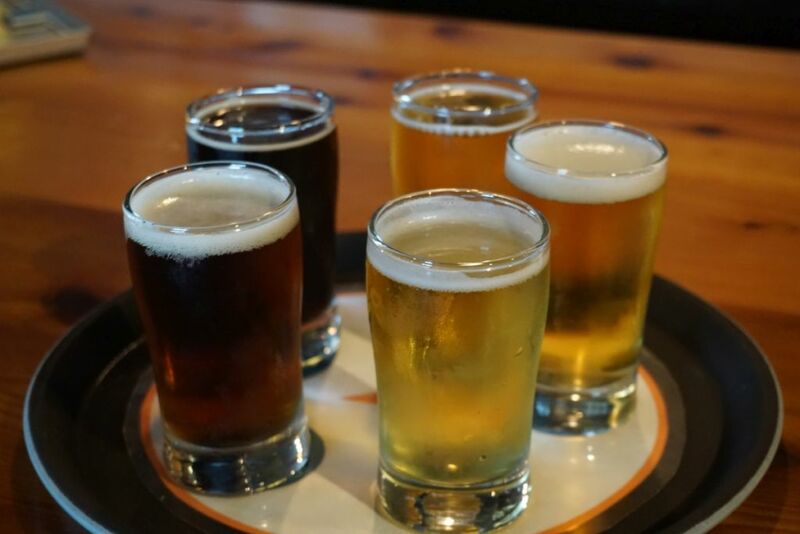 As per usual, it takes longer to get your beer flight when you are sitting at a table and have to wait for a server to take your order. Prepare yourself mentally for that if you don’t end up sitting at the bar. I’m not docking them for this as it is the same at most restaurants and they were quite crowded. I started with the pilsner, which was crisp and fruity and mildly bitter on the finish. This is a fairly standard pilsner. The hazy IPA blew me away with intense grapefruit flavor so powerful I had a hard time believing they didn’t add actual grapefruit. While the beer wasn’t creamy, the explosion of aroma hops was present and made this a very impressive beer. With low bitterness and a crisp dry finish, this was an excellent IPA even though not fully hazy. The doomtown IPA had a great mix of flavors with resinous hops balanced with notes of grapefruit. The beer had a clean dry finish and mild to medium bitterness. An excellent IPA as well. The Dopplebock was soft and creamy with notes of caramel and plum, nailing the style and quite drinkable for my husband who normally only likes stouts and porters. This is one of the better examples of a dopplebock I have tried in the US. I ended with the powerful triple IPA that blended nicely multiple varieties of hops giving it a complex hop bouquet sometimes leaning more sticky and piney, other times earthy or floral. The beer has a good caramel malt backbone that mutes the bite of the high bitterness. 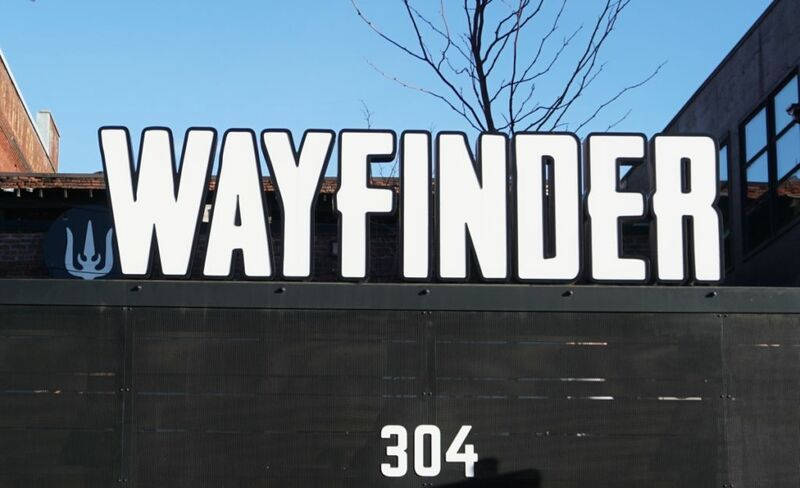 Wayfinder had excellent food and a high quality of beers that stood out among other new breweries I visited this trip. I am excited to see how they develop over the next few years. Upright was on my list for some time but I always ended up passing it over for another spot. 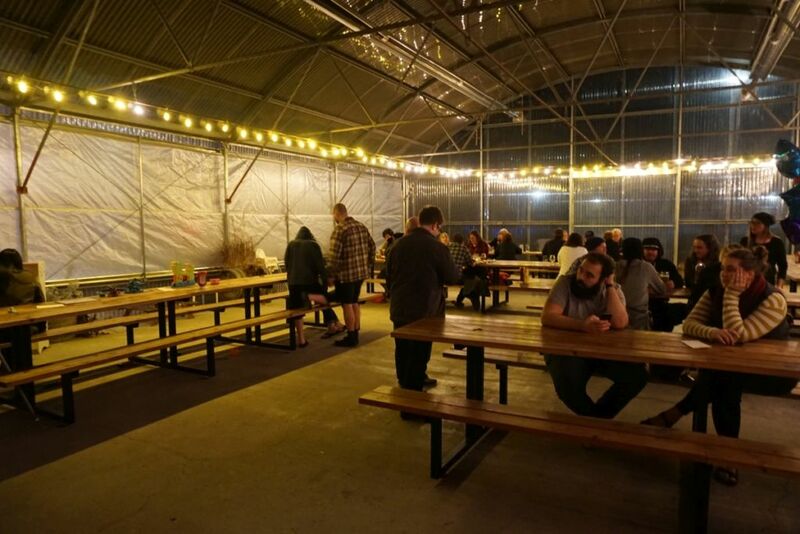 The brewery is in a bit of a strange location, down in a basement of a building shared with many other businesses. 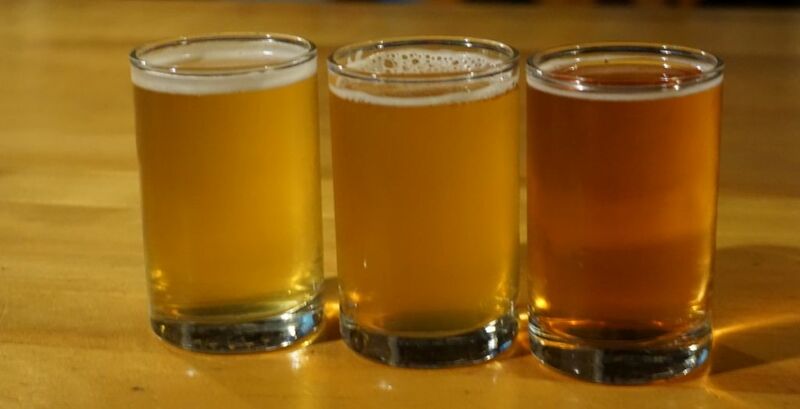 I found the beers to be a fairly mixed bag and they are possibly one of the only cash only breweries in Portland. Still, if you like a good barrel aged saison they do a great job in that department and should not be skipped over. They also get distributed down to California if you want to try something before making the trek. 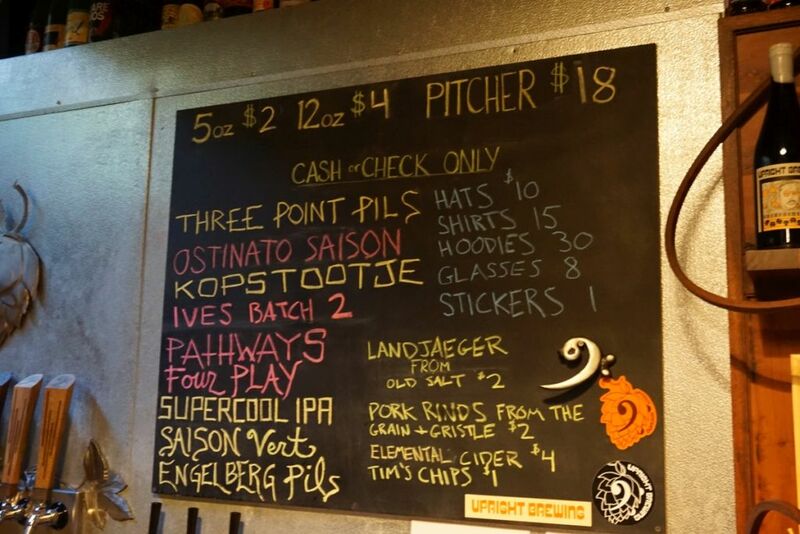 The Ostinato Saison was intensely spice forward with mild citrus character and an effervescent carbonation. 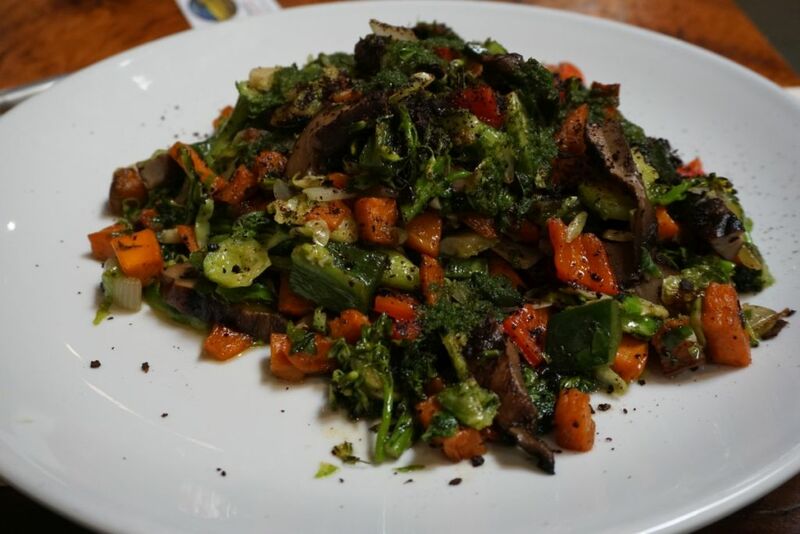 I didn’t care for the spice and found the flavors overall somewhat muted. Pathways was excellent with tons of barrel character and lots of funk. This is one of the more impressive yet reasonably priced saisons of this style I have had. I stopped by a bottle shop while I was in town to get a bottle to bring home. The fourplay cherry sour was incredibly subtle in the fruit department and didn’t have a lot going on. I would have liked to try some of their other barrel aged sours with more intense fruit but they were to-go only. The Ives Batch 2 was lightly tart with notes of white grape and apricot and hints of fresh cut apples. I really enjoyed this one as well. The IPA was soft with a low bitterness and hints of chamomile tea. It didn’t have a ton of aroma but it was clean and easy drinking. The pilsner was crisp and grassy with a clean finish, just how it should be. 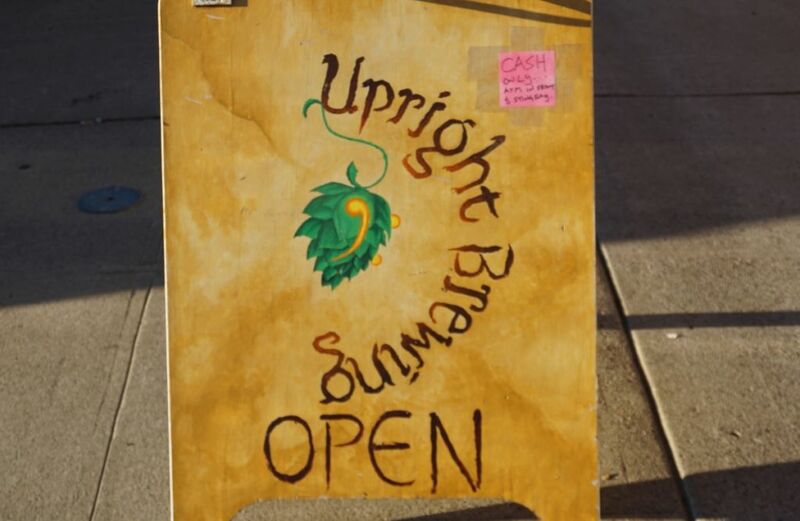 As far as the tasting room experience, Upright is cozy and doesn’t have room for a lot of people at a time. 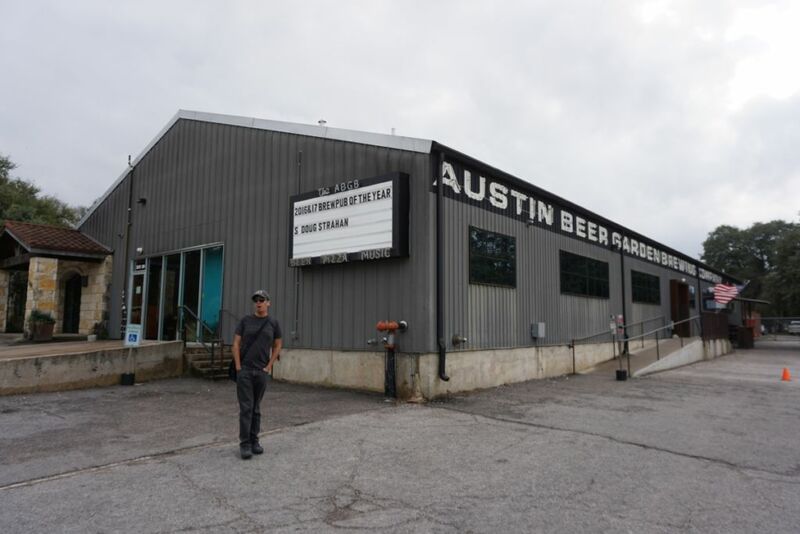 I recommend visiting to taste and if you like some of their core beers just buying them elsewhere if you are not used to paying with cash. 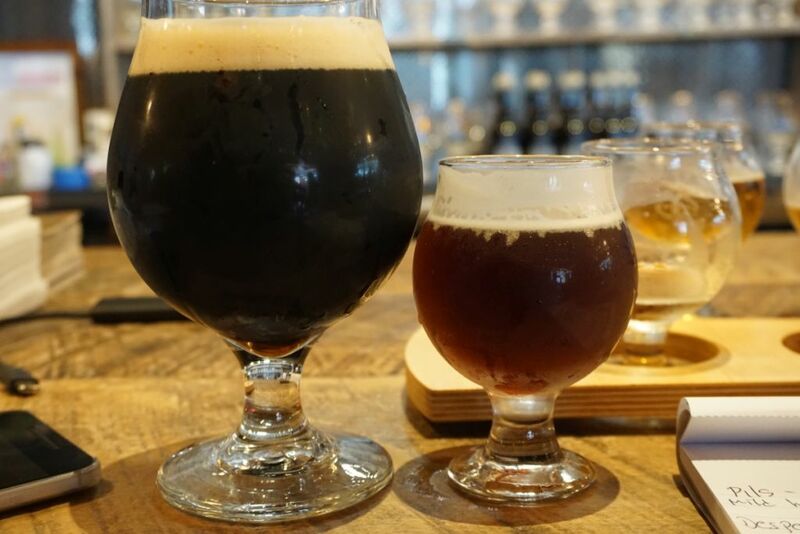 Though not all of the barrel aged beers were great, the two that I was impressed by were quite good and show an indication of a mature barrel program.